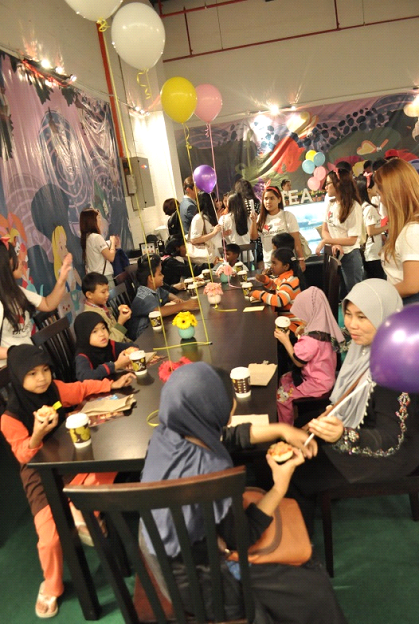 In conjunction with the launch of Encorp Strand Mall in Kota Damansara, 31 children from Praise Emmanuel Children's Home and Rumah Amal Suci Rohani were treated to a unique Lights! Camera! Action! day out. This social good project was organized by the PR Student Consultancy of Taylor's University, proPassion Communication, with guidance from lecturer Thaera Yousef and support from Encorp Strand Mall, Kay Events & GROUP MAD. 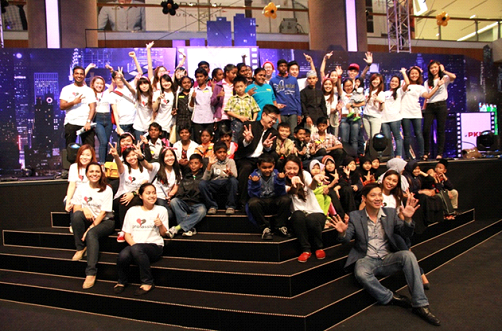 The children were treated to a movie where they watched X Men: Days of Future Past at TGV Cinemas and even got to cosplay their favourite superheroes! 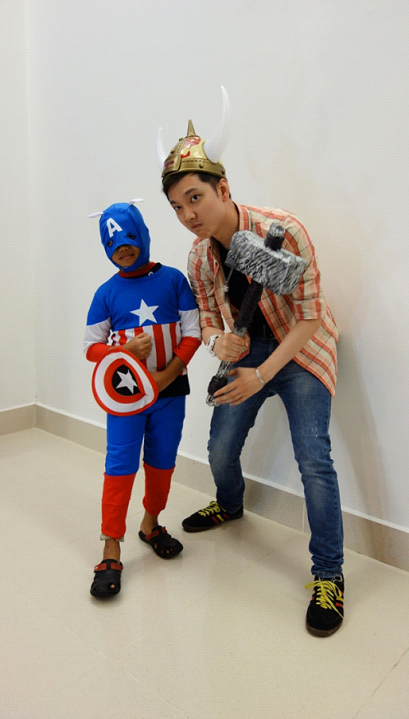 Here's a very cute Captain America with Jeremy Teo as Thor. They were also given a short lesson on how to play the organ at Yamaha Music. Needless to say..it was a very noisy class as they discovered their musical talents. Then they had the opportunity to see Cirque du Strand! So jealous now.. 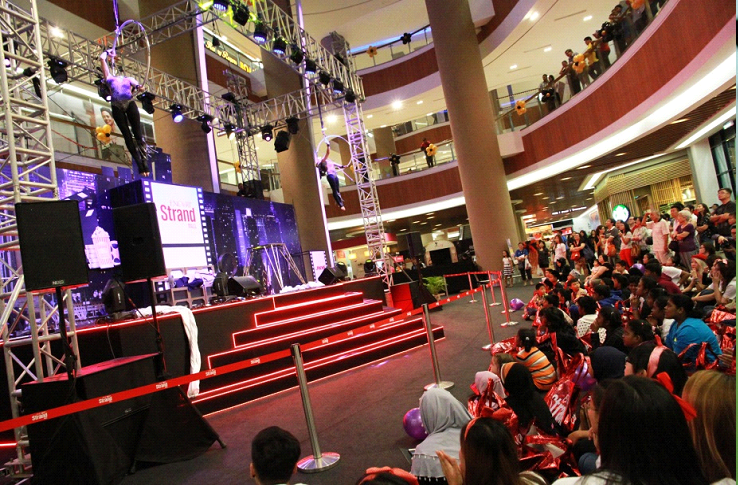 The aerial & cirque act came all the way from Australia and blew the crowd away with their gravity-defying shows. Boulangerie Sakura fed the happy children with some of their best pastries before the movie. 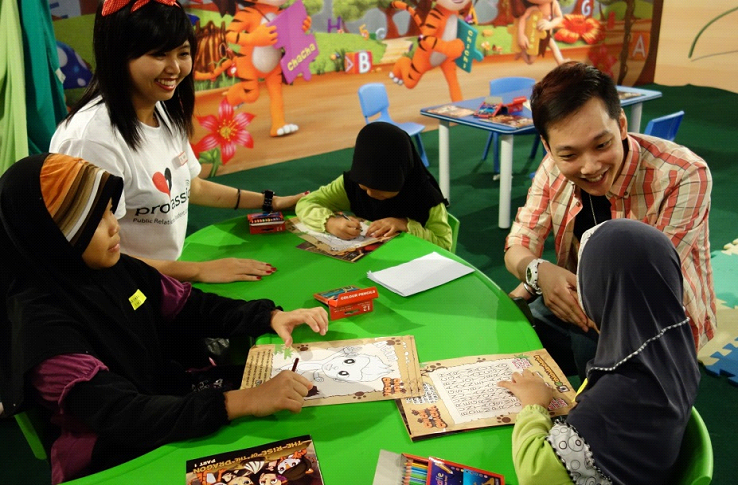 Miss Asia Pageant Malaysia 2013 Geena Yew and emcee, host, and radio announcer Jeremy Teo also dropped by to spend some time with the children. Jeremy Teo chatting with the children at Chichi and Chacha play-and-learn area. proPassion Communications also held a week-long fund raising event earlier around Petaling Jaya and managed to raise a sum of RM 6500 for both homes! Looking forward to more projects by proPassion Communications.